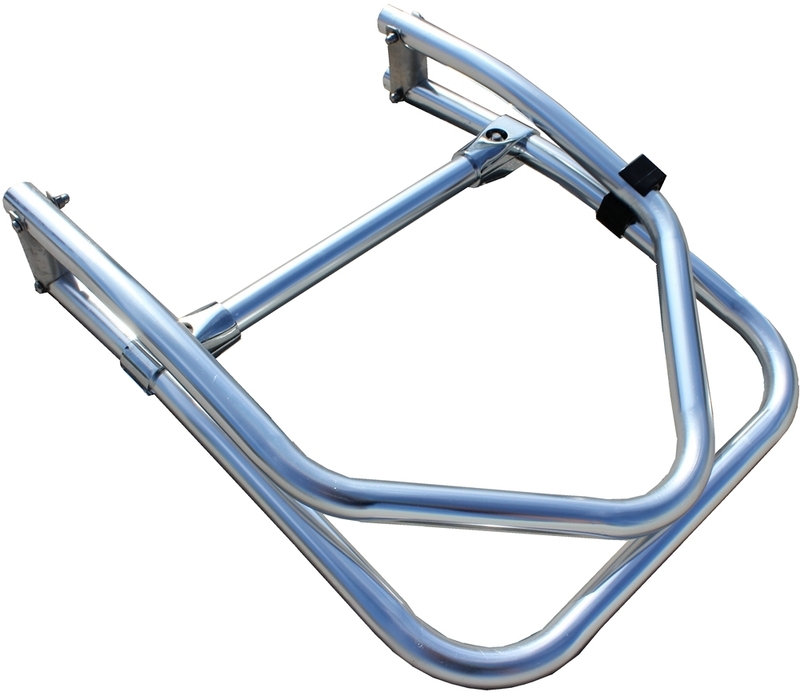 Made of heavy-duty aircraft grade aluminum. 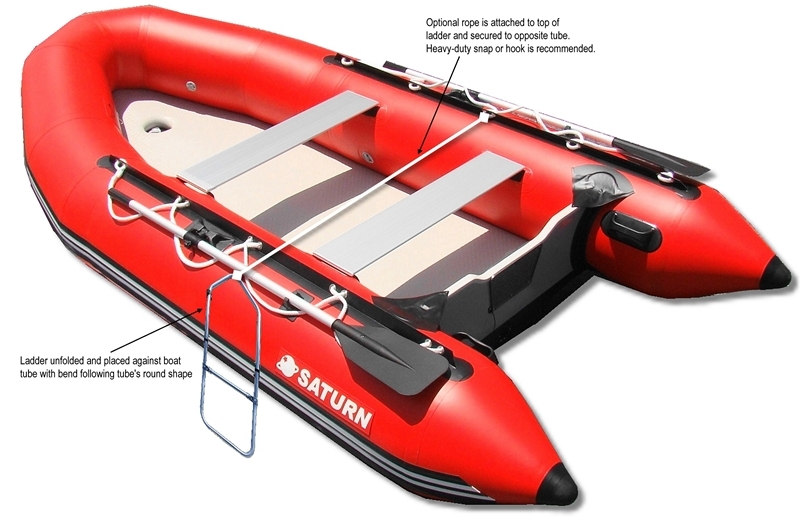 This ladder is a must for anyone who wish to go swimming from an inflatable boat, and then be able to easily get back into the boat. 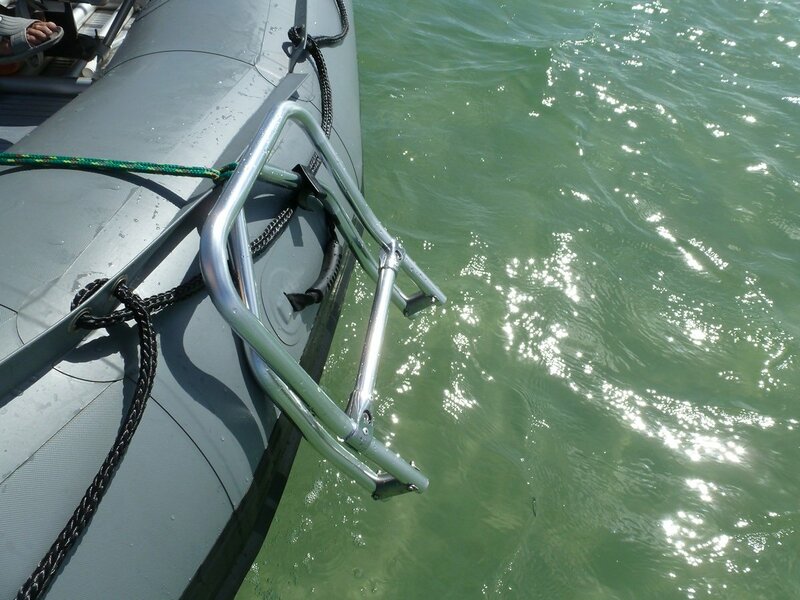 Ladder folds down to portable size of 14"x17"x3" and can be easily stored anywhere inside even smallest of inflatable boats or KaBoats. Its weight merely 36oz and can support weight of up to 200lbs. Quick Tips: Ladder comes with short piece of generic string attached to it by manufacturer that can support weight of up to 100 lbs. We highly recommend to replace this rope with 4-5' of heavy duty marine grade rope and stainless steel snap hook capable of at lest 250-300 lbs of weight. 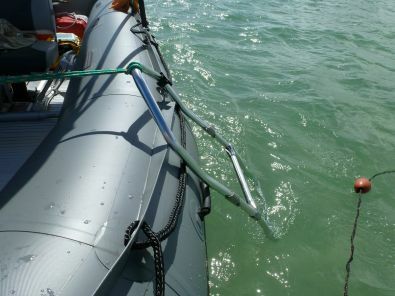 To attach ladder to the boat, simply drop it on one side of tubes, and run rope across the boat to secure to the opposite tube grab line as shown on picture. Do NOT secure ladder to D-rings or handles, as they will not hold heavy weight. 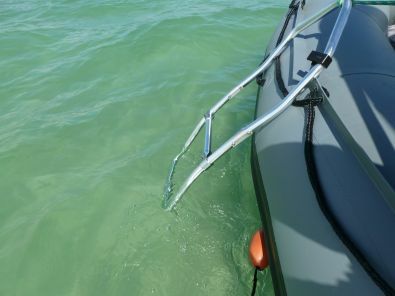 Make several large knots on a rope to make it easier to grab when getting out of the water. 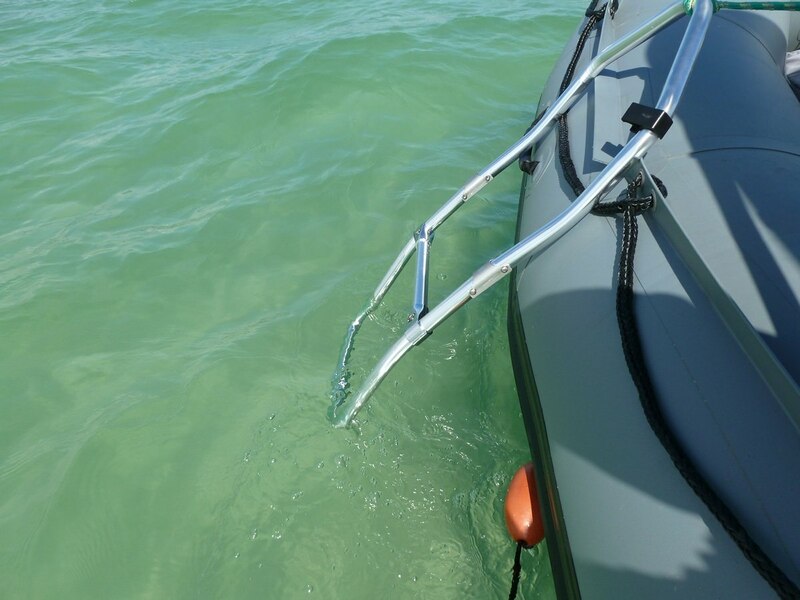 Be prepared to adjust rope as needed to make getting out of the water more comfortable.